An individual in the process for applying for a Green Card is required to undertake the Immigration Medical Examination as one of the final stages of the entire journey. What are the vaccinations and booster doses that immigrants need to take as a part of the Green Card Medical? Are those people who are already in the United States applying for adjustment of status for permanent residence also required to go in for these vaccinations? 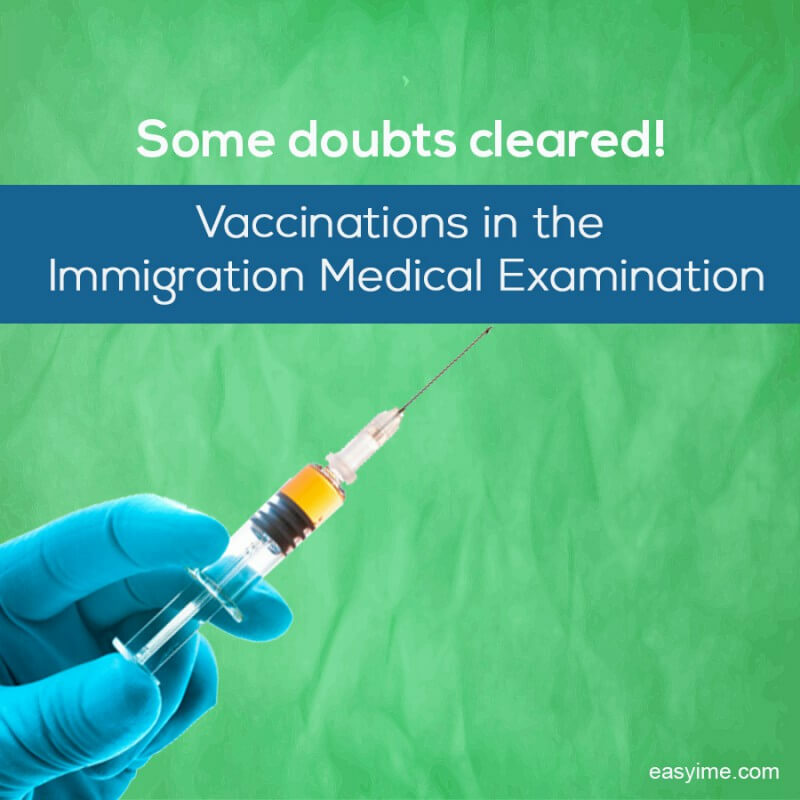 Yes, even those individuals who are already in the United States applying for adjustment of status for permanent residence also required to go in for these vaccinations. Does the applicant have to complete all of the vaccine series before he or she fulfills the vaccination requirements? For those vaccines which need a series only a single dose is needed to be taken for immigration purposes. However it is important for the Civil Surgeon to check the “insufficient time interval” box on the I-693 Form, and also, the applicant should be instructed that it is in his or her interests to complete the series in the future. This entry was posted on July 1, 2015 . Here are some more questions on the vaccinations procedure in the Immigration Medical Examination to make it easier going for you! QUESTION: Who bears the payment for the vaccinations in the Immigration Medical Examination? It is the applicant who has to bear the costs of the vaccines taken during the Immigration Medical Examination. The fees have to be paid directly to the USCIS Civil Surgeon. It is advisable to inquire about the costs of the vaccines before they are administered so you are able to have an idea about what the costs would be. QUESTION: Will the Form I-693 be accepted by USCIS if the vaccination chart is not complete? No. USCIS will not accept the Form if the vaccination chart has not been filled in by the USCIS Civil Surgeon. It is important that the vaccination chart has all entries against all the appropriate entries filled in, against each vaccine. If the form remains incomplete then it could be possible that the I-693 could be returned back to you by USCIS with the comment that it has to be complete in all respects. If you happen to decline taking a vaccine due to religious reasons, or even moral reasons, then the Civil Surgeon will mention this on the Form I-693. In such a case you may then have to apply for what is termed as a medical wavier. This entry was posted on May 2, 2015 . If you are a visa applicant who is applying for the green card for residing permanently in the United States of America you are required to go in for some vaccinations, depending upon what age group you fall into. 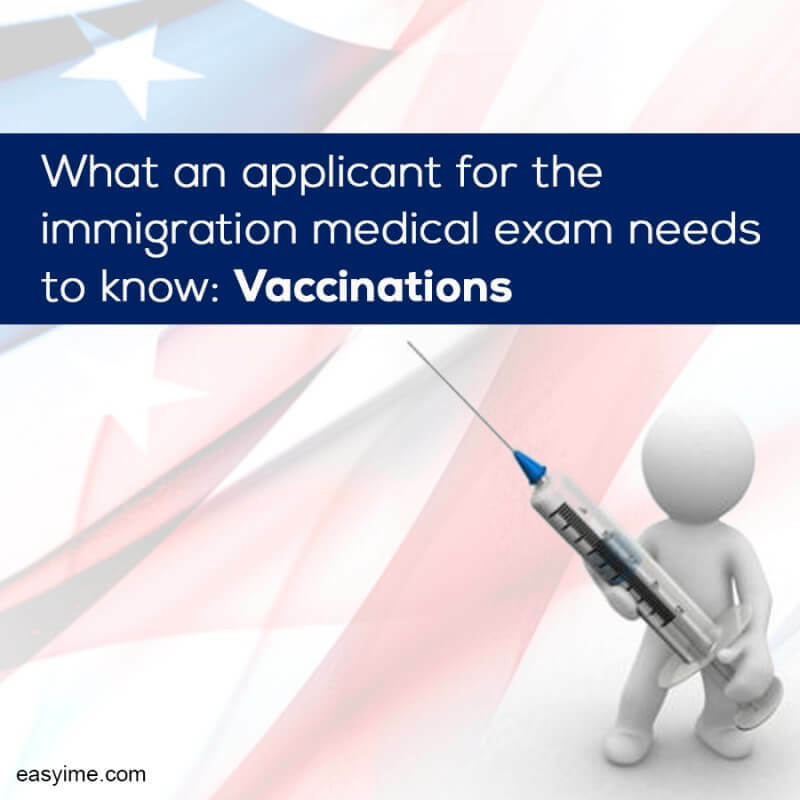 Find below some questions answered about vaccinations, which are an important part of the Immigration Medical Examination. QUESTION: What is the season usually for the flu starting- I am asking this in reference to the seasonal flu requirement; the seasonal flu vaccine is an integral part of the Immigration Medical Examination will I still have to receive the seasonal flu vaccine even if the flu season is not going on? As far as the Immigration Medical Examination is concerned the flu season falls between October 1 and March 31st every year. If you are slated to take the Immigration Medical Examination during this time frame you are then required to go in for the seasonal flu vaccine. If you have a schedule for the Green Card Medical Exam to be completed anytime between April 1st and September 30, when the flu season does not occur then you are not required to place on record that you have got the seasonal flu vaccine done. Question: I am pregnant and do not wish to go in for any vaccinations as part of the stipulated procedure. But will I still have to go through them as part of the Immigration Medical Examination procedure? Answer: In the event of your being pregnant, then, as per the Technical Instructions quoted in the CDC the Civil Surgeon will be in a better position to assess your condition and advise the necessary course of action. 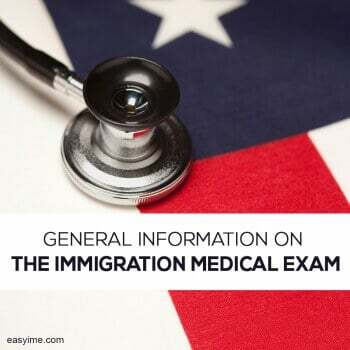 If the Civil Surgeon is not able to give you the vaccine as require then the Form I-693 pertaining to the Green Card Medical Examination will be annotated by having the particular non-administered vaccine as contraindicated. This entry was posted on April 23, 2015 .